Yogurt, or Dahi as it is more popularly known as, is touted as a cure for every possible stomach ailment. It is also an integral part of the cuisines in several parts of India, as well as the world. But have you ever wondered what more it can do for you? Yogurt, also known as ‘Perugu‘ in Telugu, ‘Thayir‘ in Tamil, ‘Thairu‘ in Malayalam, ‘Doyi’ in Bengali, and ‘Dahi’ in Gujarati, has numerous benefits to offer, and not just for your health. To know more about how yogurt can better your skin and hair, read on. If your skin needs a boost of moisture, you can try using a yogurt face mask to rejuvenate your skin. Add all the ingredients to a bowl, and mix till the consistency is more or less even. Apply the mask to your face and neck, and keep it on for 30 minutes. Rinse with cold water and pat your skin dry. When yogurt is applied topically, it increases the moisture content of the treated area (1). This makes skin more elastic and improves brightness. As time goes on, your skin starts to show signs of aging. You can combat the wrinkles and fine lines by using a yogurt scrub on a weekly basis. Add the oats to the yogurt, and wait for it to get mushy. Stir to get an even consistency. Apply it all over your face and neck, and massage using gentle, circular motions. Keep the scrub on for 15 minutes, then rinse with cold water. Yogurt has lactic acid, which works well as an exfoliator (2). It removes the topmost layer of dead cells, revealing brighter and younger skin. Yogurt is considered to be an effective home remedy for fighting acne. Using plain yogurt on a regular basis can help you get rid of pimples. Dip the cotton balls in the yogurt and apply it to the affected areas. Once you use a cotton ball on an acne, dispose of it. Don’t use it for application over another area. This may cause your acne to spread. Keep it overnight and wash your face with cold water in the morning. The high amounts of zinc and lactic acid present in yogurt make it a potent cure for acne (3). Acne and pimples can leave behind scars that take a long time to fade. Using a combination of yogurt and lemon juice can help to get rid of them faster. Combine the yogurt and the lemon juice in a bowl. Apply the mixture to the affected areas. Avoid getting it in your eyes, for it might sting. Keep it on for 15 minutes and rinse with cold water. The reason yogurt helps fade blemishes and corrects uneven pigmentation is because of its lactic acid content (4). Lactic acid removes the topmost layer of skin, which promotes the growth of new skin cells. This effectively reduces the appearance of pigmentation. 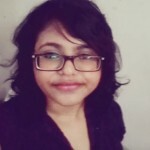 A sleepless night and good old genetics are the reasons behind dark circles. Using yogurt can help reduce them. Dip the cotton balls in the yogurt. Gently dab it under your eyes. Keep it on for 10 minutes and rinse. Yogurt helps reduce dark circles because it has anti-inflammatory properties, which reduces puffiness. The lactic acid in it also reduces persistent dark circles (5). Skin infections such as ringworm or athletes’ foot plague a number of people. If you are looking for an all-natural remedy, then you can give yogurt a try. Apply the yogurt over the infected area and warp it with the gauze. Repeat this procedure twice a day till the infection goes away. Yogurt has probiotics that help get rid of skin infections caused by pathogens such as yeast (6). Sunburns are caused by the UV rays of the sun. It damages the skin, resulting in redness and sometimes, blisters. Using yogurt topically can help heal the sunburned areas. Applying yogurt to sunburned areas cools it down (7). This is because it is rich in zinc and has anti-inflammatory properties (8). 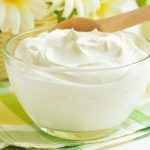 If you are tired of the chemicals found in store-bought conditioners and are looking for a natural alternative, yogurt can help condition your hair and make it more manageable. Apply the hair pack to your strands, and let it stay for an hour. Rinse thoroughly using a mild shampoo. 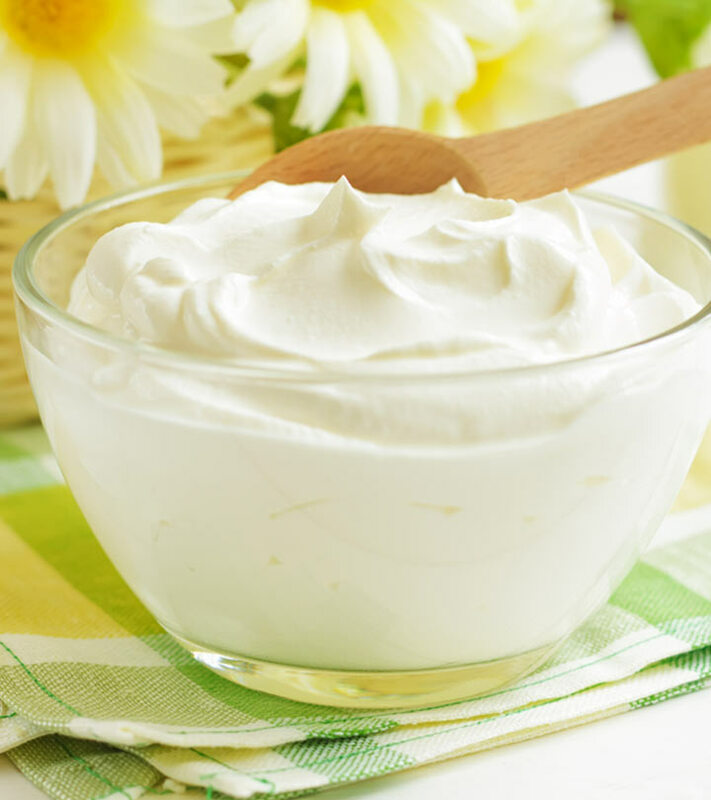 Because yogurt has moisturizing properties, it helps repair dry and damaged hair (9). It leaves your hair conditioned and makes it more manageable. Hair fall happens for a number of reasons. One of which is the hair follicles not receiving proper nourishment. Using yogurt, which is full of nutrients that are good for your hair, can help stop hair fall. Combine the yogurt and the fenugreek seeds together. Using a brush, apply it to your strands. Keep for an hour, then rinse with a mild shampoo. Due to the presence of vitamin B5 and D, yogurt helps nourish the hair follicles (10). This helps prevent hair loss. Dandruff is a common problem, but which can be avoided with the topical use of yogurt. Massage the yogurt into your scalp. One of the main causes of dandruff is fungus. A fungal infection can make the scalp produce flaky skin. Yogurt, which is a natural anti-fungal, helps removes all signs of dandruff (11). Yogurt makes an excellent moisturizer for dry hands. Using yogurt on your nails can make them look more polished. Cracked heels can benefit from a yogurt massage. Massaging your teeth with yogurt can help whiten them. You can add yogurt to any hair/face pack to take advantage of its benefits. It is not just an important component of your meal but is equally good for your health. Milk yogurt has several health benefits that will help you live a healthier life if you make it a part of your daily diet! The good thing about this is that you don’t have to spend a whole lot of money buying it. Yes, yogurt is easily available in stores at affordable prices. However, you could still save on that money and prepare milk yogurt at home. Believe me, it is easy to prepare and doesn’t even require too much of effort! A few tablespoons of yogurt. Here are the steps you need to follow to make fresh and edible milk yogurt at home. You will begin your preparation by heating the milk. Get hold of two large pots and fit one inside the other. This will help you make a double boiler, which actually prevents the milk from getting burnt. Remember to stir a couple of times. Feel free to use any kind of milk you prefer. Once the milk has been heated, you will have to cool it down to 43 degree Celsius. This will help in lowering the temperature. In case you are using the fridge to cool it down, please remember to stir it a few times again. Next, you will need to warm the starter. When we use the term starter, we are basically speaking about the bacteria which are required to prepare the milk. Next, you will have to add half a cup of nonfat dry milk that will help in increasing the natural content of the yogurt. This will make the yogurt thick. Now, add the starter to the milk. You could add the yogurt that is already there or the bacteria that has been dried. It’s time to pour all the milk into a container. You will have to cover it well with a plastic wrap. Now, you will have to keep the bacteria warm so that it incubates. The temperature has to be close to a 100 degrees F. The more you will encourage the growth of bacteria, the better the flavor and taste of the bacteria will be. Take the thermometer to make sure that the temperature is the same throughout. Next, you have to place it under the sun. A fine place would be your window sill where the rays of the sun will be able to reach the yogurt. Now, you will have to use the yogurt maker. Place the containers of milk that have been cooled along with the starter inside the yogurt maker. Make sure that there is enough space between each of them. Now, supply a good plastic over in the heat. This will help in maintaining the temperature inside the containers and encourage growth in the bacteria. Check and see whether the yogurt has become firm. Once you notice a consistency throughout the yogurt, you can easily remove all the containers. Now, jiggle the containers gently. If the yogurt has been prepared, it will not show any movement. After this, you have to place the containers in the fridge. Wait for 12 hours before you can use it. And your homemade yogurt is ready! Savor it as it is or mix it with rice for some mouth-watering ‘curd-rice’ – the choice is yours! Yogurt can basically make all of your skin and hair woes go away. Any more yogurt benefits that you know of? Write to us in the comments section below.